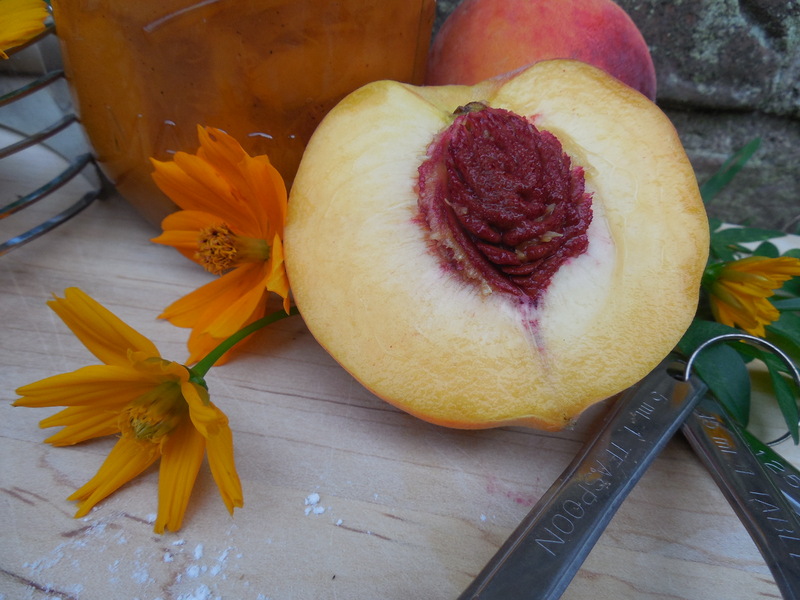 Truly good peaches must be eaten over the sink, juice dripping off your hands, down your arms, and plinking gently into the sink. 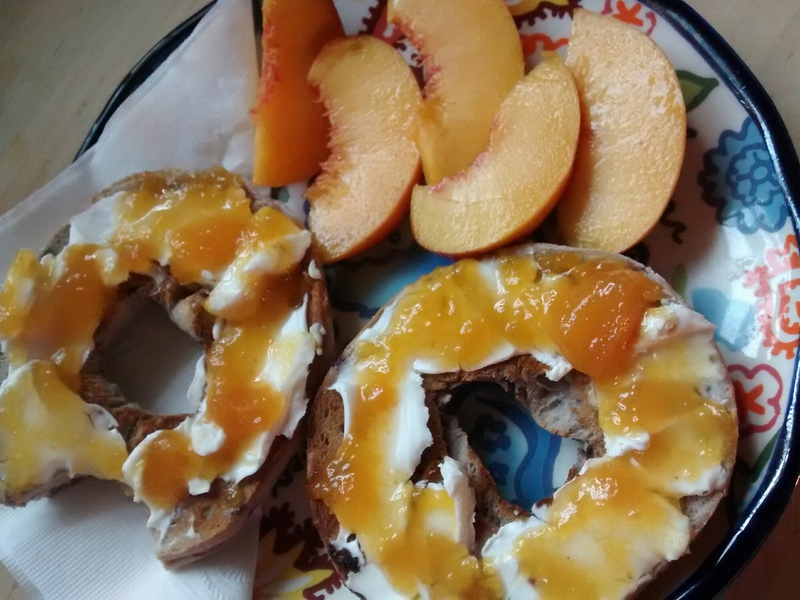 Wouldn’t it be nice if peaches were in season all year long? 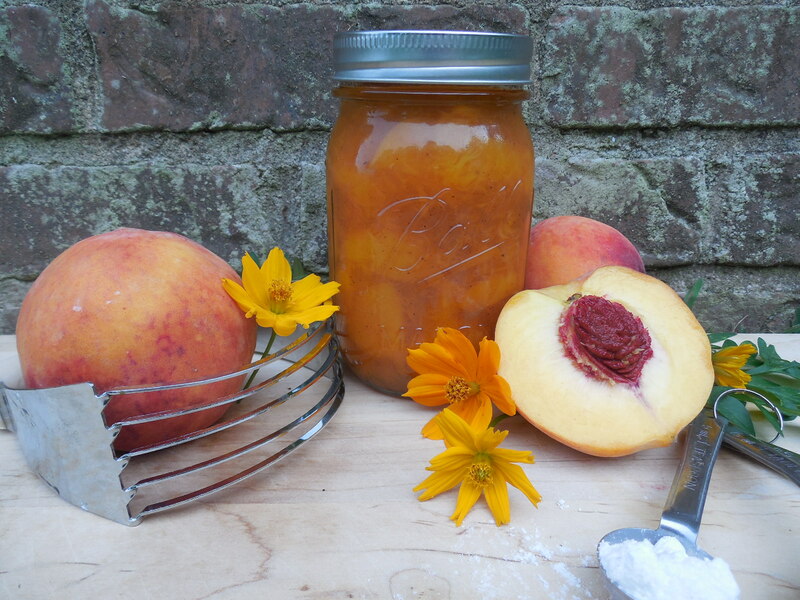 I have been steadily working my way through 75 pounds of peaches; the peach jam has been great, the blueberry peach jam has been great, but I have really been enjoying my spiced peach pie filling. Since really good peaches won’t be available in the blustery cold evenings of January, I made some pie filling out of them. Actually, I see many easy cobblers in my future. Yum! Here is what you need: 14 cups of peeled sliced peaches, juice of 2 lemons, 1/2 teaspoon nutmeg, 1/2 teaspoon pumpkin pie spice or cinnamon, 1/4 cup white vinegar, 2 2/3 cup sugar. This will yield about 5 pints. Combine all ingredients in heavy stock pot and cook over medium-high heat until the juice has slightly thickened. For me, this took about 25 minutes. At this point, you can either freeze it, or can it in pint jars in boiling water bath for 15 minutes. 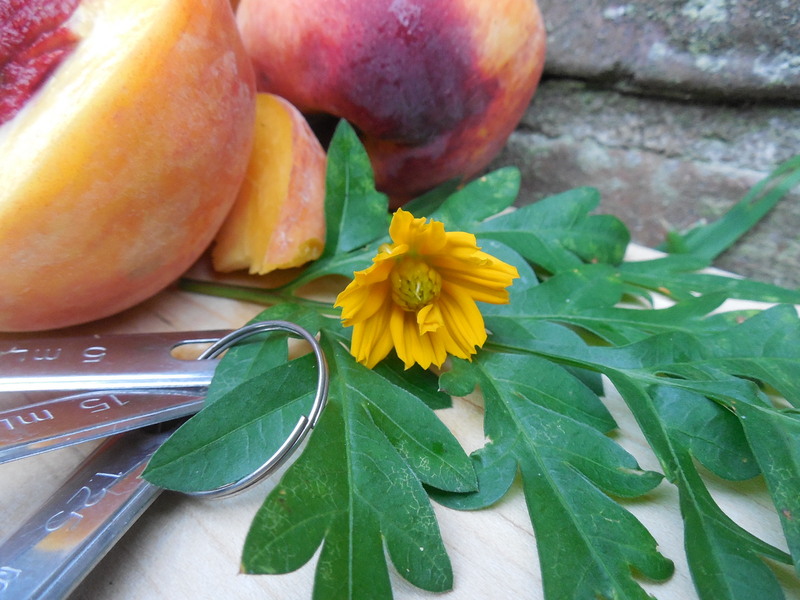 This recipe yields wonderfully soft, sweet , spiced peaches. 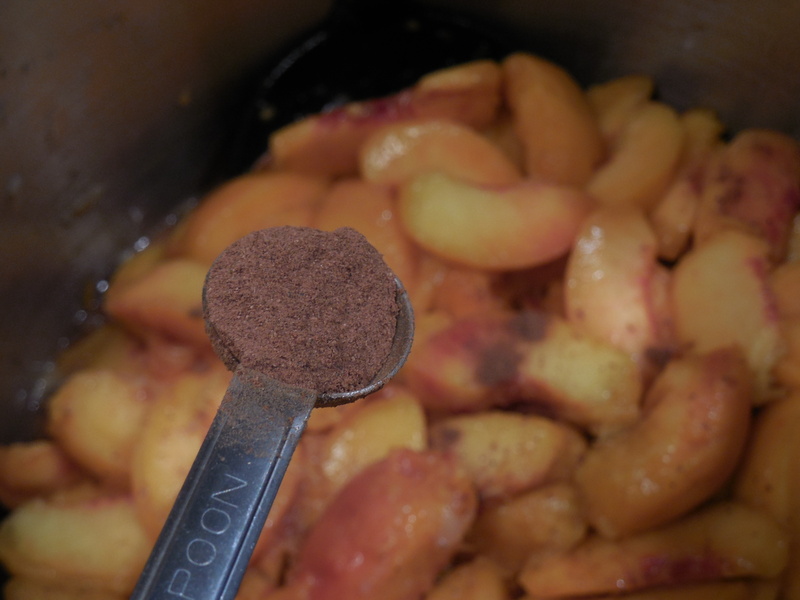 If you prefer only mildly spiced peaches, use only the nutmeg. My yield was slightly over 5 pints. So, what to do with the little bit of extra? 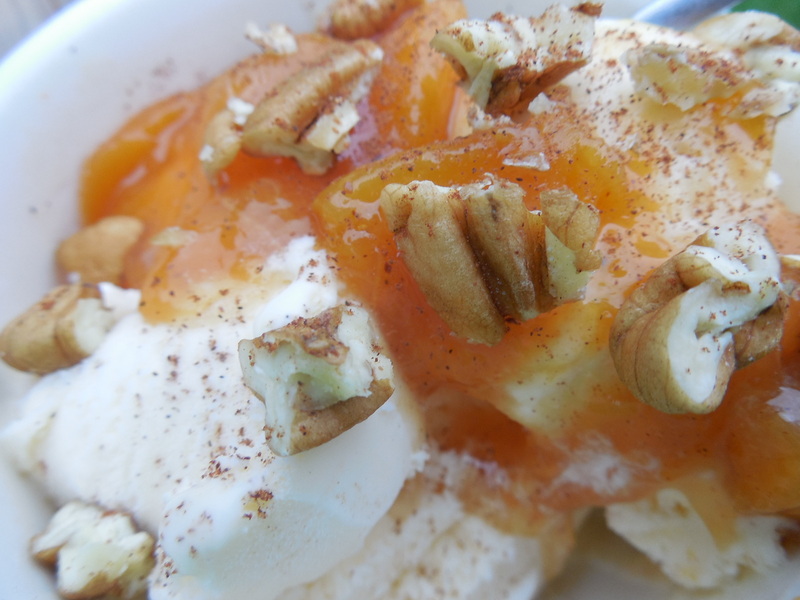 I poured some over vanilla ice cream and sprinkled pecans over it. Delicious! 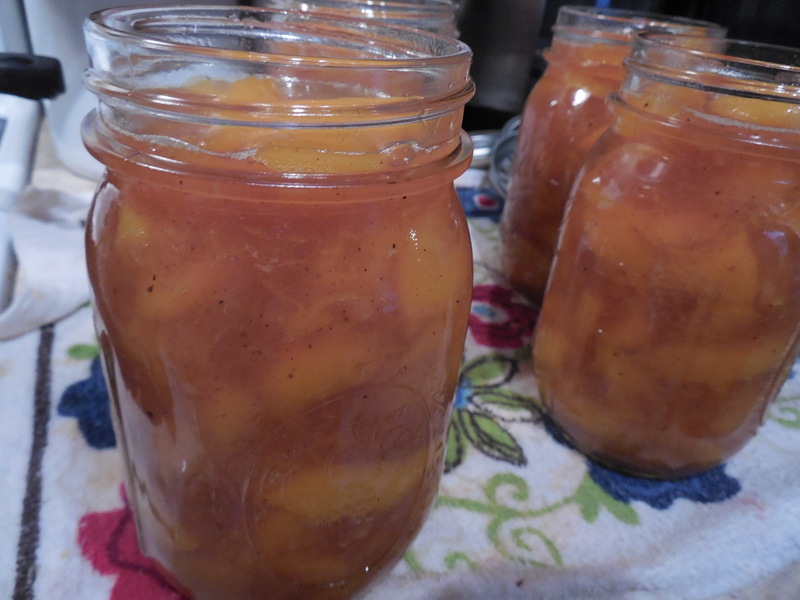 I did try making some peach syrup for sweetening iced tea, and it turned out really good! I’ll share that recipe/process in a later post, as well as how to can sliced peaches. If you hate peaches I’m sorry, but they have been my life recently. I’m not sick of them yet, and I have enough in my fridge to either eat fresh for a while, or to make some spiced peach butter and eat fresh for just a little while. Decisions decisions. What should I do?